Games have kept evolving with time with different versions or with a completely different format. While the scenario of gaming was only limited to 2D gaming in the past, the scene right now is not the same anymore. Game developers have incorporated the advanced 3D feature in the games, making the games known as 3D games. 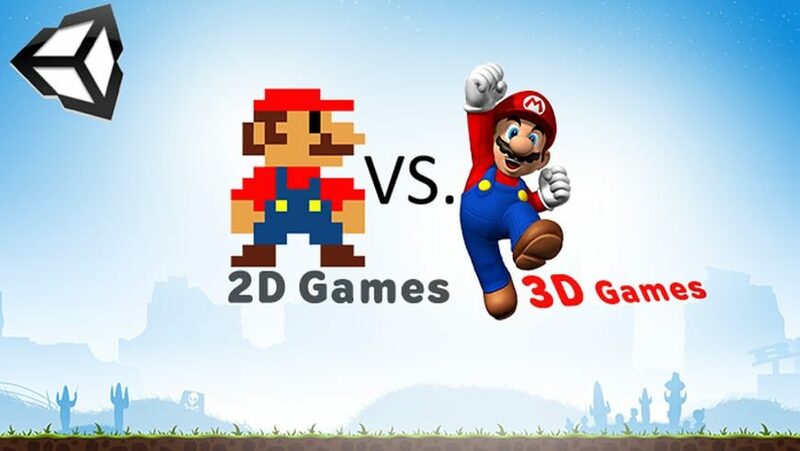 There are debates concerning which gaming development is better, 2D or 3D? But if we develop more in-depth in the context, both 2D and 3D game development has got their set of unique advantages. What are the benefits of 2D game development? The 2D games are developed keeping in mind the simplicity of controls. You need to know few basic commands, and you are good to go. For any beginner who would like to play a game, 2D would be the best option. It is straightforward to develop 2D games that are cheaper too. With the help of specific user-friendly 2D gaming software, the gaming developer can create a game instantly. It is no big deal to come up with extra levels of the game too. 2D games are developed in such a way that you can see what is there around your character in the given space. You can act on the spot without strategically overthinking about what could be the next move. Most of the 2D games that have developed till now follow the rule of one goal at the end. Every game has got a simple instruction to reach the goal by overcoming several obstacles and levels. What are the benefits of 3D game development? The unique most feature of a 3D game is the real factor. The 3D games are developed keeping in mind the real life-like element that makes the gamers believe as if it is the reality. As players can relate more to the practical aspect, 3D games have become quite popular in the recent times among the gamers. The 3D games are developed using higher quality graphics, and they usually tend to be longer than usual. More top quality graphics is what makes them visually appealing for the gamers, and they tend to play these games for long hours. Usually, 3D games are the kind of games that can hold you back and make you addicted to studying more and more. These games are developed keeping in mind the depth factor which makes the gaming experience one of a kind. The best part about 3D gaming is that the game can be developed in various types such as adventure, racing, sports, puzzle and much more. You cannot resist yourself from the impressive range of genres that the 3D gaming world has to offer. Well, be it 2D or 3D, we all love playing games. The rate at which 2D and 3D games are now being developed is praiseworthy as gaming has now become a form of art. So which type of game do you love playing the most- 2D or 3D?